Every dog loves to walk, regardless of the weather. The possibility of discovering new places, meeting four-legged friends or searching for interesting scents get your dog’s tail wagging. 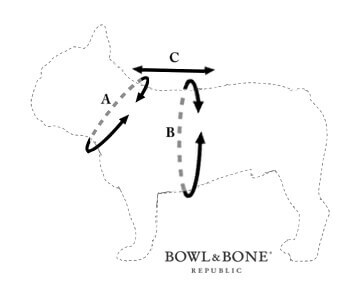 At Bowl&Bone Republic, we meet dog’s expectations – including those regarding walks. Especially for them, we have prepared our DENIM navy harness, which is characterized by convenience of use and a unique design. 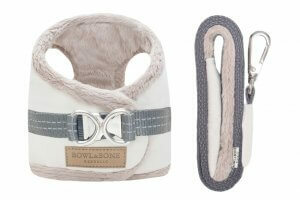 The designers at Bowl&Bone Republic created this harness to provide dogs with the highest level comfort possible. 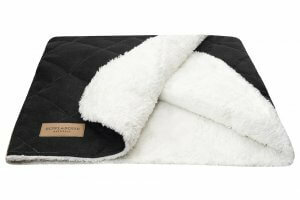 Its most important features include perfectly cut fashion and high-quality materials. 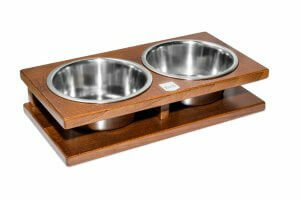 Thanks to this, you can be sure that your pet will feel great satisfaction during each walk. 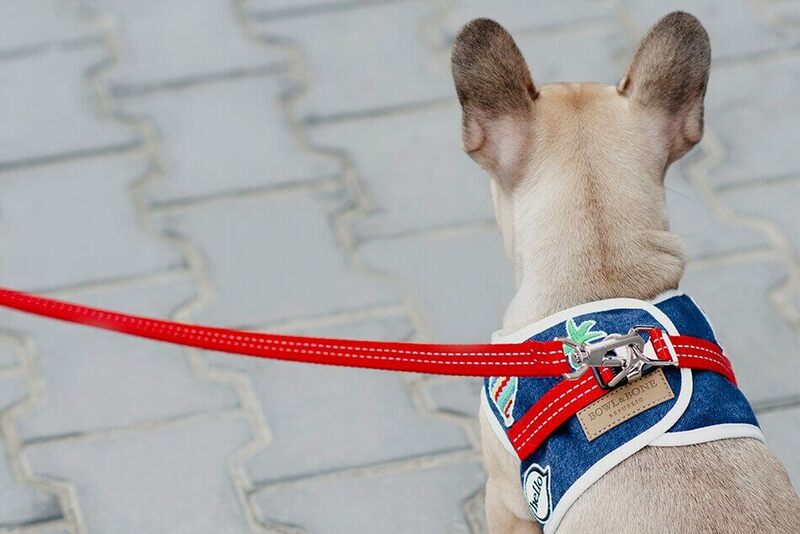 Our DENIM navy harness also has a unique design – fashionable colours, interesting patches and a perfectly matched leash make up the ideal set that catches the attention of every canine caregiver. 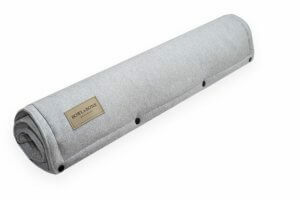 At Bowl&Bone Republic, we always make every effort to ensure that the dog accessories delight with their appearance and quality. 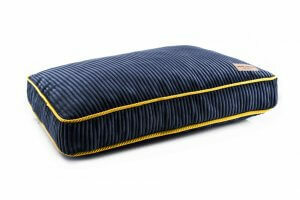 Our DENIM navy harness is trendy, and we are sure that it will become an inseparable element of your joint trips. 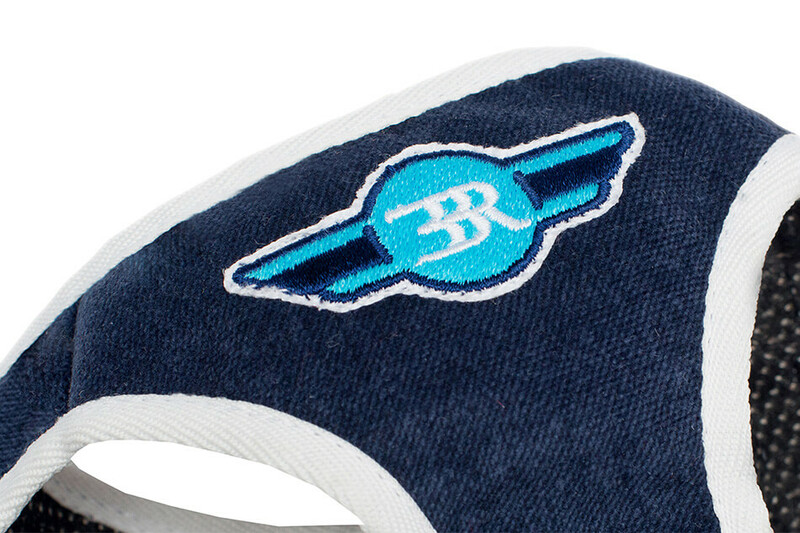 Our DENIM navy harness is made of pleasant to the touch materials. 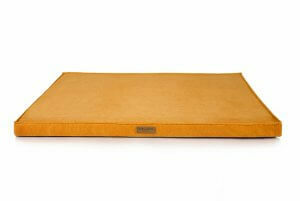 Furthermore, its bottom layer has been enriched with mesh, which makes it additionally breathable. 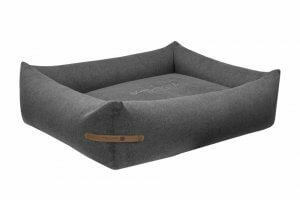 Thanks to this, even during intense outdoor activities your dog will feel comfortable. In turn, sewn-in reflective elements increase its safety even when it is dark. Its next advantage is its unique design that follows modern trends. 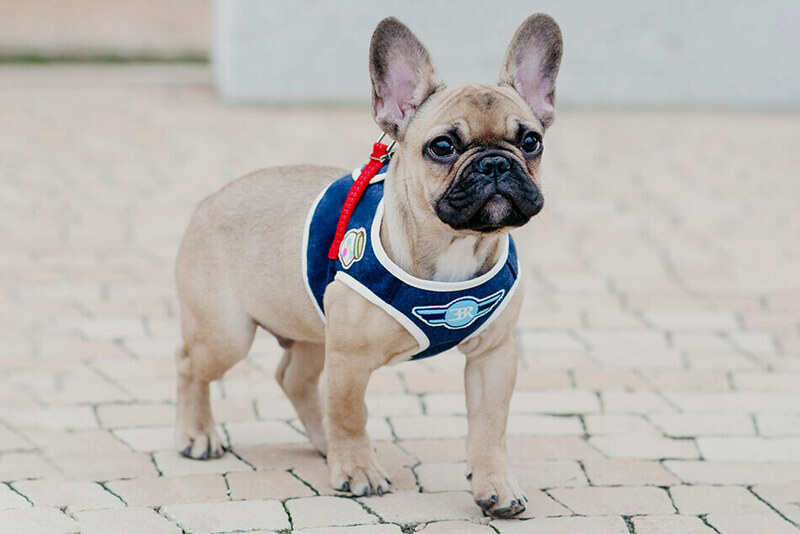 In our DENIM navy harness all dogs look great – it’s perfect for Maltese, Yorkies, Bulldogs, Pugs or Schnauzers and many other breeds. The interesting colour of harness perfectly corresponds with the dog’s hair and makes them look really cute. 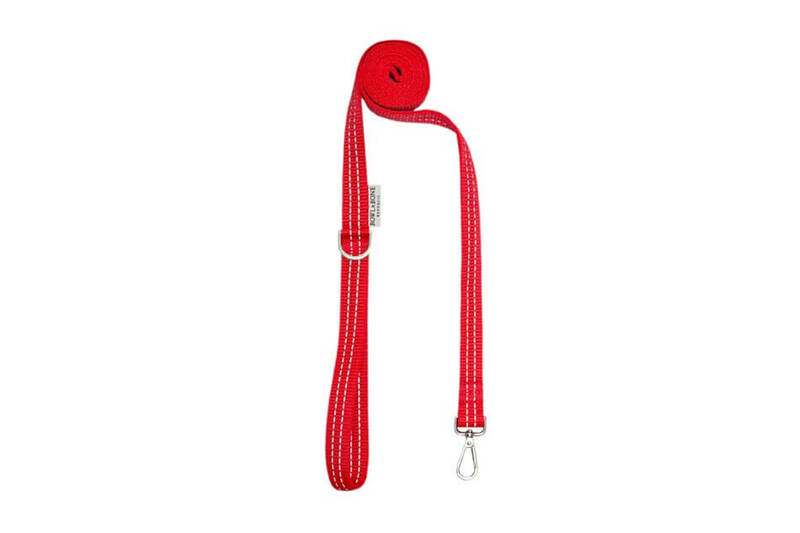 A matching lanyard is also available for the harness. As part of your shopping, you can get a complete walking set, with which you and your dog will fall in love right away! During walks, dogs can easily get carried away. At Bowl&Bone Republic, we understand this and for this reason, we made sure that DENIM navy harness could be easily refreshed. 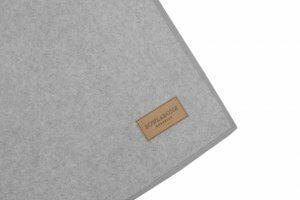 When the need arises, you can wash it by hand or in a washing machine on a delicate fabric program. Just remember that the water temperature should not exceed 30 C and that the harness should not be subjected to chlorination, chemical cleaning or bleach treatment. We also recommend that your DENIM navy harness be dried in a flat spread position. More information about how to clean your DENIM harness can be found on the product label. 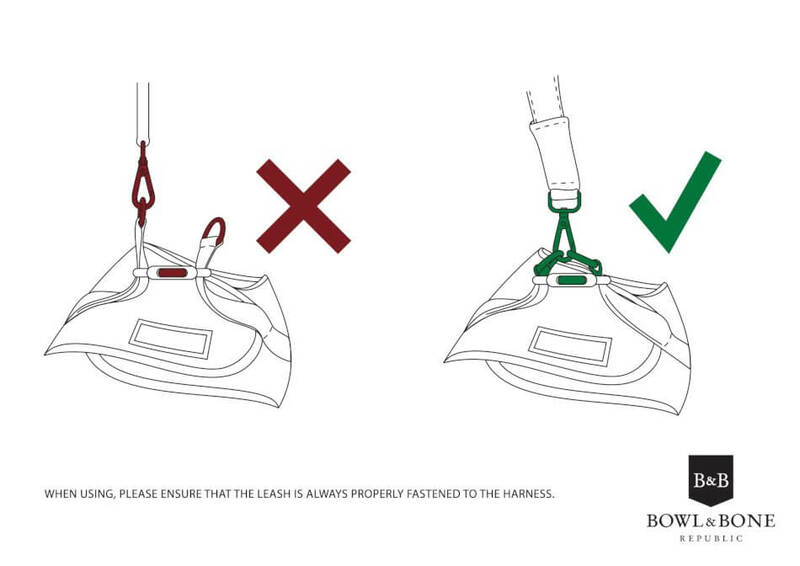 We encourage you to read this to ensure that your harness will last for a long time. 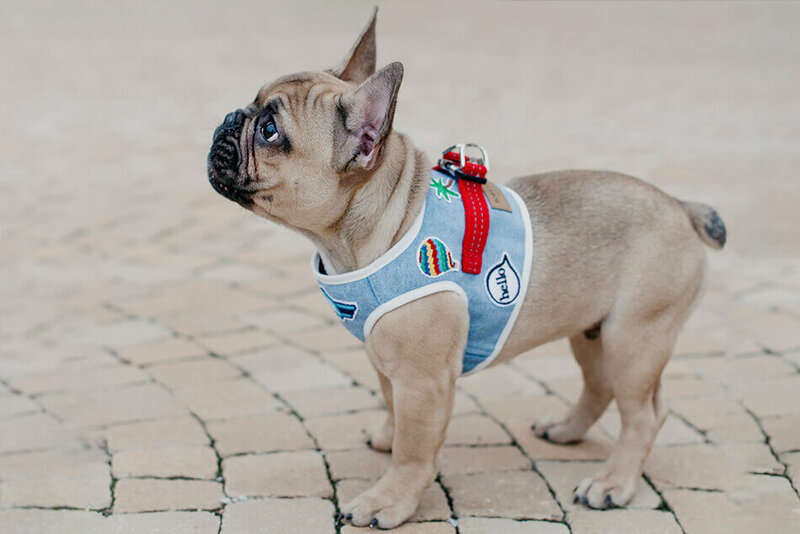 How should you choose the right size of DENIM navy harness * for your dog? Length of a matched dog leash DENIM navy: 120 cm / ≈47,2"
Your DENIM navy harness must perfectly match the dimensions of your dog. Before you buy one, carefully measure your pet. But how do you do this? First, measure the circumference of your dog’s neck. Second, measure his chest. Make sure that you have measured at the widest point and left some reserve so the harness doesn’t restrict him. 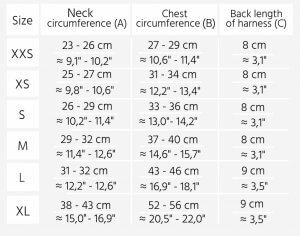 The measurements that you obtain can be compared to the sizes of DENIM navy harness given in the table below. 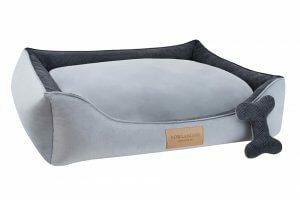 Thinking about the needs of dogs of different breeds, we have prepared our DENIM navy harness in six sizes. 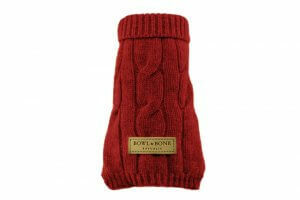 The smallest, in the XXS version, will be perfect for Chihuahuas or Yorkies. 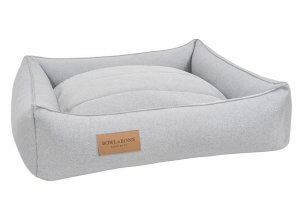 We recommend a slightly larger size for breeds such as Maltese, Shih Tzu, as well as French Bulldogs and Schnauzers. 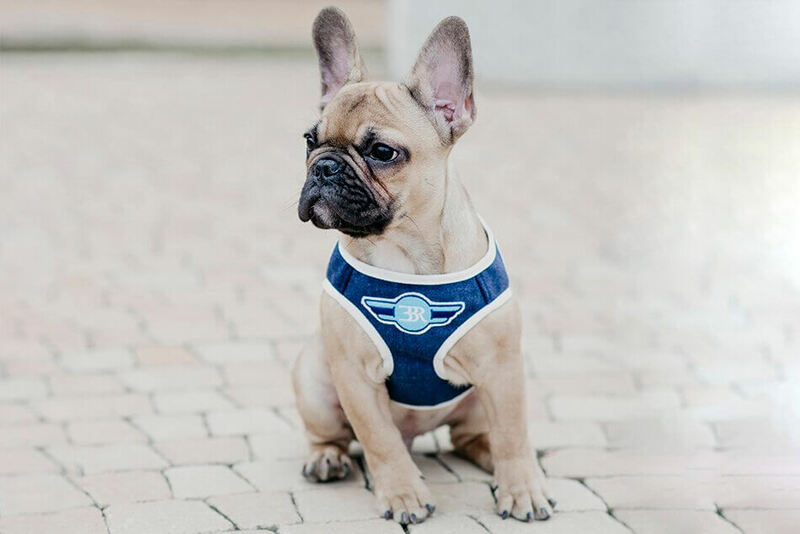 We also recommend our DENIM blue dog harness in light blue denim colour. 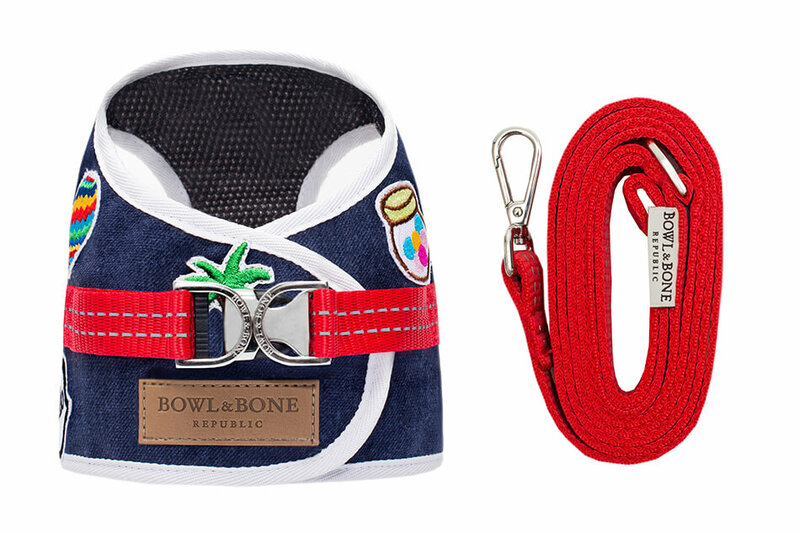 Bowl&Bone Republic designers will be happy to make harness for your pet in a specific size. The execution time for individual orders is 10 working days on average.